Dr. Catherine Price is a Associate Professor with a joint appointment between Clinical and Health Psychology in the College of Public Health and Health Professions and the Department of Anesthesiology in the College of Medicine and Area Head of the Neuropsychology area. 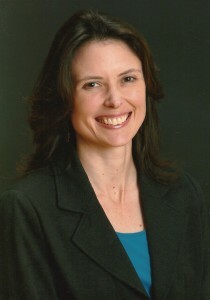 Dr. Price received her Ph.D. from Drexel University (Philadelphia, PA) in 2002 (neuropsychology specialty). Her graduate research and clinical training was completed at the University of Pennsylvania and Thomas Jefferson University, with her internship in clinical neuropsychology conducted at UF. Dr. Price’s research has two aims. First, to understand the relative contribution of white matter integrity, versus subcortical gray matter structure integrity, on the cognitive profiles associated with neurodegenerative subcortical diseases (e.g.,small vessel vascular dementia, Parkinson’s disease). Second, to apply this knowledge towards more collaborative and longitudinal research examining the predictive value of these patients’ white and gray matter structure integrity on a) disease associated cognitive decline and b) vulnerability to cognitive change after elective medical interventions (i.e., major orthopedic surgery). Dr. Price conducts federally funded and privately funded research investigations addressing both of these aims. Dr. Price serves as the Attending Psychologist for the Neuropsychology Area in the UF/Shands Psychology Clinic. Her primary role is to train and supervise predoctoral, interns, and postdoctoral students in the neuropsychological assessment of adults. She has one clinical day per week where she supervises core practicum students who are assigned to their first neuropsychology practicum, as well as advanced practicum students who are seeking more intensive training in neuropsychology and specifically dementia/movement disorders/post-operative cognitive dysfunction. Dr. Price also supervises the short- and long-term psychological and cognitive intervention treatment of individuals with mood disturbances comorbid with a dementing illness, cognitive impairment associated with prodromal dementia, or Parkinson’s disease. Title: Collaborative Research: Think-Inferring Cognitive State from Subtle Behaviors. This study will use smart technology to examine patterns of cognitive function relative to neuroanatomical connections. The goal of this research project is to determine if cognitive phenotypes and cognitive trajectory can be partially explained by frontal and temporal circuit integrity. Title:Research Supplement to Promote Diversity in Health-Related Research (Admi Supplement) to White Matter Connectivity and PD Cognitive Phenotypes; Post-doctoral Fellow: Shellie-Anne Levy, Ph.D. This study will determine the extent that preoperative neuroimaging markers can predict type of post-operative cognitive decline after major orthopedic surgery in older adults. Price, C. & Grossman, M. (2005). An on-line study of verb knowledge in individuals diagnosed with AD and FTD. Brain and Language, 92 (2), 217-232. Price, C., Jefferson, A. J., Merino, J. G., Heilman, K., Libon, D. J. (2005). Towards an operational definition of the Research Criteria for Subcortical Vascular Dementia: Integrating neuroradiological and neuropsychological data. Neurology, 65(3), 376-82. Price, C., Cunningham, H., Coronado, N., Freedland, A., Cosentino, S., Penney, D., Pennisi, A., Bowers, D., Okun, M., Libon, D. (2011). Clock Drawing in the Montreal Cognitive Assessment: Recommendations for Dementia Evaluation. Dementia and Geriatric Cognitive Disorders, 31(3), 179-187. Price C., Mitchell SM, Brumback B, Tanner JJ, Schmalfuss I, Lamar M, Giovannetti T, Heilman KM, Libon DJ. MRI leukoaraiosis (LA) threshold and the phenotypic expression of dementia. Neurology (in press).